Nearly 60 years after its first strike, Slawson Exploration continues to find new sources of fuel crucial to the nation’s economic growth and security. Slawson has drilled more than 4,000 oil and gas wells in 10 states since its start in Wichita, KS in 1957. Recovering from the collapse of oil prices in the mid 1980s, Slawson helped pioneer development of the huge Bakken oil field in North Dakota and Montana, using advanced horizontal drilling techniques that were then new to the industry. Slawson drilled its first horizontal Bakken well in 1989. The company remains active there, in California and across the Rockies as well as in Kansas, Oklahoma and Texas. Slawson recently became the first exploration company in North Dakota to use liquified natural gas to run its drilling rigs. Instead of trucking in propane, the company utilizes a product of abundant local natural gas reserves. 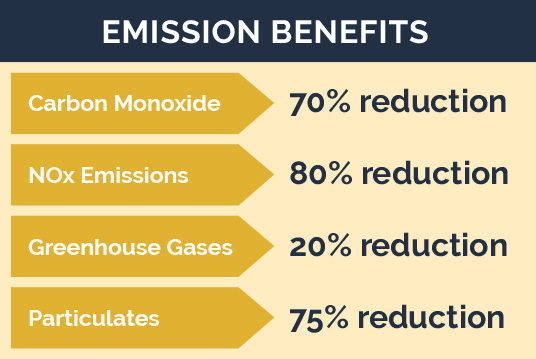 This approach reduces carbon emissions by 30 percent over diesel. Q: What is liquified natural gas (LNG)? A: LNG is a natural gas that has been converted from its gaseous state into a liquid. Q: How is this done? A: First, impurities are removed from the gas, leaving mostly methane. It is then cooled to about minus 260 degrees, becoming a liquid in the process. Q: What happens to LNG during that process? A: Several things. Most importantly from a handling standpoint, it shrinks to 1/600th the volume of natural gas in its gaseous state. That makes it very transportable, whether by ship overseas or by truck on land, between places where no pipelines exist. Q: Is this a new process? A: No. Experiments on the various states of gases have been conducted for several hundreds of years, and the ability to liquefy large amounts of natural gas was developed about a century ago. However, the use of LNG has increased rapidly in recent years. A: Yes, LNG is not stored under pressure and is not flammable or explosive in its liquid state. It becomes combustible when converted back to its gaseous state for use. A: LNG is used for all the same purposes – residential, commercial and industrial – as other fuels. Q: Does that include oil and gas exploration companies? A: Yes, because LNG can be transported cheaply and stored safely, it is attractive to oil exploration companies, which need power to run their drilling rigs in remote locations. Q: Is LNG more costly for drilling companies to use? A: LNG is cheaper than some other fuels. There is an initial cost associated with converting rigs and training employees to run LNG, which can be offset over the lifetime of the operation. Q: Is there an environmental benefit to LNG? A: Yes, LNG releases up to 30 percent less carbon monoxide and other greenhouse gases into the atmosphere than other fuels. Using LNG also reduces the amount of truck traffic around rigs, resulting in less disruption to the environment. Q.: Why is Slawson Companies using LNG? A.: Slawson Companies believes that using LNG to power drilling rigs makes sense from both environmental and economic perspectives. Slawson recently started using liquified natural gas from North Dakota’s first LNG production facility to run its rigs. In addition to reducing greenhouse gas emissions and helping the local economy, developing the LNG industry reduces America’s dependence on foreign fuel sources. For more information about Slawson Exploration’s innovative approach, click here for contact info, or e-mail seciinfo@slawsoncompanies.com. Click here to contact someone in regards to general Royalty/Working Interest Owner inquiries. Click here for partner access to the SECI Portal.